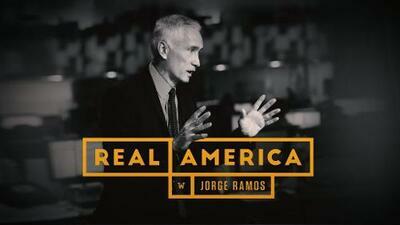 Jorge Ramos is an Emmy Award-winning journalist and Univision news anchor. Someone once asked Oprah Winfrey, the inspirational businesswoman, journalist and actor, this question during an interview: What do you know for sure? It caught her off guard, she has said, and she hesitated, not knowing how to respond. Winfrey later transformed this hesitation into an opportunity to think more about her world and whats real in her life, and she eventually wrote a best-selling book about it. I was thinking about this story recently, and about the things I know for sure about my life in the United States. Ive narrowed the ideas down to three. First, technology and social media govern the way we interact with each other. Second, this country and the world are becoming more diversified and multicultural. Third, climate change is out of control, and its effects are seriously disrupting the places we live in. This month I launched (along with Univision) a new project to broadcast news via Facebook. Im still a TV news anchor, but this effort is about reaching younger viewers who might not even own a television set and prefer to get their news through social media. We know that viewers these days are transitioning from larger screens to smaller ones; for example, you are probably reading this on your phone or tablet rather than in print. I am not alone in this digital experiment. Other broadcasters, CNN and ABC News among them, are also creating news programs that are distributed via the Facebook Watch platform. In an age of fake news and so many attacks on the press, we must be capable of maintaining independent and credible journalism streams through social media. Besides, it is easier to get close to people and capture real life situations with mobile phones than it is with cameras, lights, sound systems and recording equipment. I believe this project will enable us to tap into future news viewing trends. This doesnt mean that news shows will disappear, but it is becoming increasingly difficult to ask viewers to commit to watching a program every night in order to get the latest news from around the world. What do I know for sure? That if we want to avoid becoming endangered TV dinosaurs, we must migrate to where the viewers are. This brings me to my second point. Ive been traveling all over the United States in the past two months, and Ive seen an extremely diverse country going through an unstoppable process of change. Were definitely experiencing a demographic revolution. In less than three decades, white Americans will no longer be a majority in this country. This is worrisome to many people. Its like going through your whole life thinking you belong to a single race, then undergoing DNA testing and discovering you belong to a whole variety of ethnic groups. America has just opened the envelope containing its test results, and its scared. But change is irreversible. Shortly after Donald Trump announced that he was running for president, already more than half the babies under a year old in the United States were members of a minority group, according to government statistics. Something similar is happening worldwide. There are over 250 million immigrants around the world today, including myself. Globalization, the internet, international trade and increasingly porous borders have transformed the planet into a wonderful melting pot of races, accents and ethnicities. Nobody seems to be from a single place or have a single point of origin. We are one and many. The third thing disrupting us is climate change. Wherever I travel I witness the consequences of a warmer world. Extreme weather seems commonplace now. I recently visited a beach in the Mexican Caribbean, and there were places where I couldnt get into the sea because of the tons of sargassum seaweed floating on the shoreline. Near my home in Miami, floods are more frequent now, while midsummer wildfires grow larger in California. Sometimes I wonder whether the entire human race has gone past the point of no return. But these three things I know for sure.